Rates shown are general low/high season rates, not today's rate. To get current rates and special offers, check their site, call (970) 949-0759 and mention MountainSportsClub.com to get the best rates, or use the request form below. Property Location: A few minutes to closest chairlift. This property is offered by Accommodations Vail Beaver Creek. See all of their properties. Accommodations Vail*Beaver Creek is a comprehensive property management company with the reputation and resources to ensure a top quality experience for our guests-- and peak management performance for our owners! 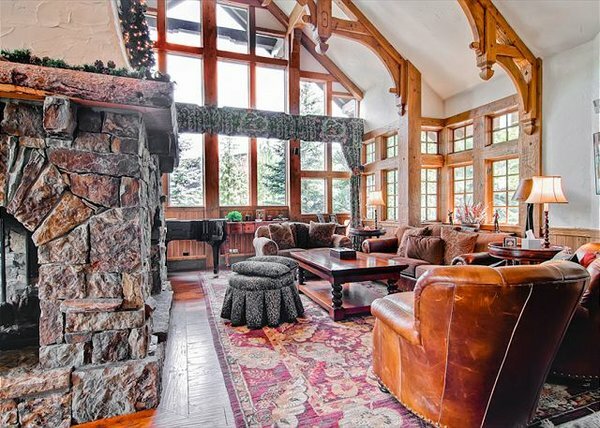 We maintain a highly selective portfolio of luxury rentals in Vail, Beaver Creek, and Bachelor Gulch, Colorado. The majority of these outstanding homes are TRUE ski in/ ski out, and all are lavishly appointed with fine furnishings, the latest entertainment technology, and charming decor.